A midnight dynamite explosion shook the movie theater, sending slabs of marble, boards and debris flying into the street. Theaters were staples of entertainment for Americans from the mid-1800s to the beginning of the 20th century. Theaters in these decades featured live entertainment including plays and vaudeville. Even small towns had their theaters (often grandiloquently named opera houses) and national and regional touring acts went from one town to the next. By the 1920s theaters for live performances were being converted into converted for motion pictures. By 1920 Spokanites had fourteen moving picture theaters to choose from. One of those was the Lyric Theatre, located in the Lindelle Building at 10 North Washington. The Lyric Theatre transitioned from traditional theatre entertainment to moving pictures when it was purchased by J. W. Allender in 1915. Allender, a theatre entrepreneur and local politician, turned the movie house into one of the most popular in town. Big ticket films like the 1918 hit “Carmen of the Klondike” frequented the Lyric until a fateful summer night in 1928. In the early morning hours of July 6th, Officer Henry Morris paced down Washington Street stopping to examine storefronts as he passed. Around 1:30AM he stopped in front of the Lyric Theatre to see what movies were showing. As he continued down the road past Joyner’s Pharmacy, he heard a loud explosion that sent “slabs of marble, boards and debris” flying into the street in front of the theatre. No one was injured, but the damage was substantial. The ticket booth and the projection room had been ravaged by a powerful bomb. The bomber was a sophisticated operator. The Chief of Police and his lead investigators found a “wheel” that appeared to be part of the bomb ignition mechanism. They also determined that dynamite was the fuel for the explosive. Even with all this information, the police were unable to find the culprit and the case went unsolved. The theater reopened shortly after but business was never the same, just three years later, in 1932, it was converted to a Swedish Seventh Day Adventist Church. The church was short-lived and the Lindelle Building struggled to keep tenants in the former theatre. Proponents of modernization looked on as the building rapidly aged and the demand for parking in Downtown Spokane became greater. By late 1963 the building and the remnants of the Lyric Theatre were demolished in favor of a surface parking lot. Newspaper clipping from Spokane Daily Chronicle. : The explosion at the Lyric Theatre made headlines on the second page of the daily paper. Surprisingly, the details of the investigation were not covered by the paper. Image Courtesy of Spokane Daily Chronicle. 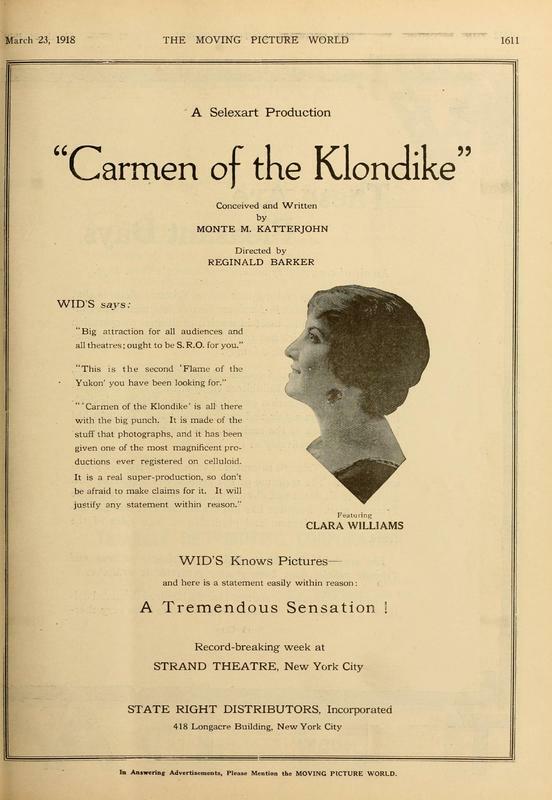 Advertisement for the 1918 film "Carmen of the Klondike." : This was one of many hit films that showed at the Lyric Theatre. Image courtesy of Media History Digital Library. 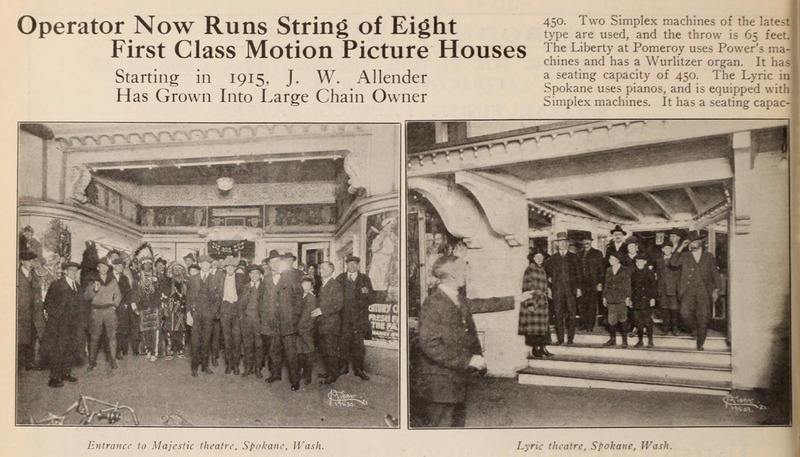 The Lyric Theatre featured in Motion Picture News August 27, 1921.: J. W. Allender was quickly building a theater empire and the Lyric Theater in Spokane was one of his premier movie houses. A photo of the theater is featured on the bottom right. Image courtesy of Media History Digital Library. 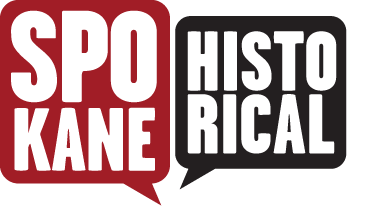 Logan Camporeale, “Dynamite Blast Wrecks Lyric Theatre,” Spokane Historical, accessed April 24, 2019, https://spokanehistorical.org/items/show/631. 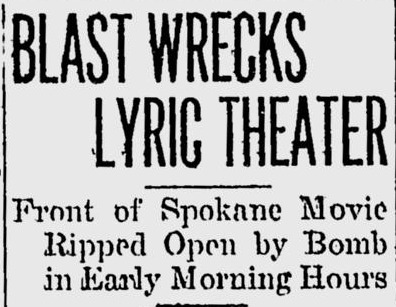 "Blast Wrecks Lyric Theater," Spokane Daily Chronicle, July 6, 1928. "Lyric Theater to Be Church," Spokane Daily Chronicle, March 11, 1932. "Strong Screen Attractions in Spokane Theaters this Week," Spokesman-Review, September 1, 1918.